Westcott Cars is a family run business and has been established in the Surrey area for over 20 years. They offer a high quality service for all their customers. Over the last 5 years they have developed their business with safety, comfort & relaxation for our customers in mind with their executive vehicles (all leather with air con) for Taxi hire. All their drivers are highly vetted through the Mole Valley Council Licensing and in addition through Surrey County Council, with the vetting process including CRB (Criminal Records Bureau) checks. They aim to accommodate all locations and all occasions including special occasions with their special vehicles with ribbons, flowers etc to accommodate your individual requirements. They operate anywhere in Surrey & Sussex, London area and the local Counties. Westcott Cars provide service 24 hours 7 day a week. Child seats at no extra cost, please request when booking. As keen surfers we have always loved the classic VW campervans; their style, elegance and ultimate cool factor are unlike anything else! 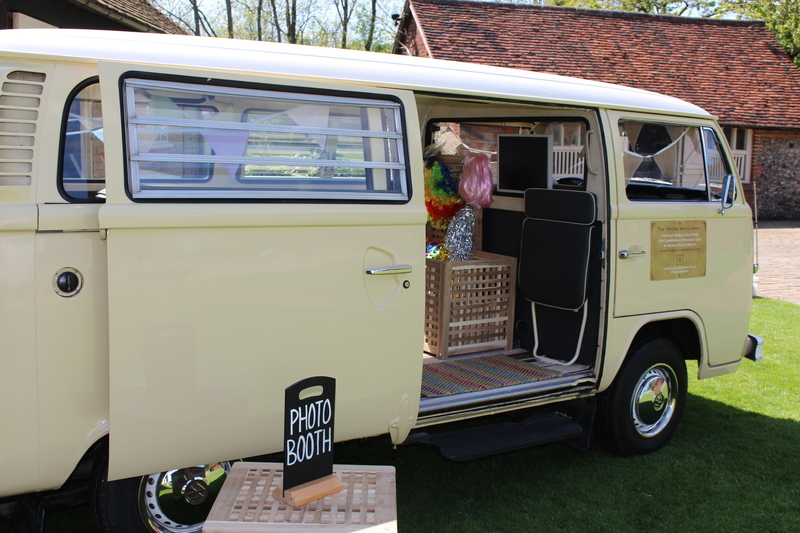 When we saw 'Lola' we just had to have her and our campervan wedding car and photo booth business was born. We run this along side professional catering and event services: Kelmsley. Our aim is to offer a professional, friendly and compassionate service to couples getting married or those planning a special event. Having recently been wed oursleves, we appreciate how important it is to get it right on the day!